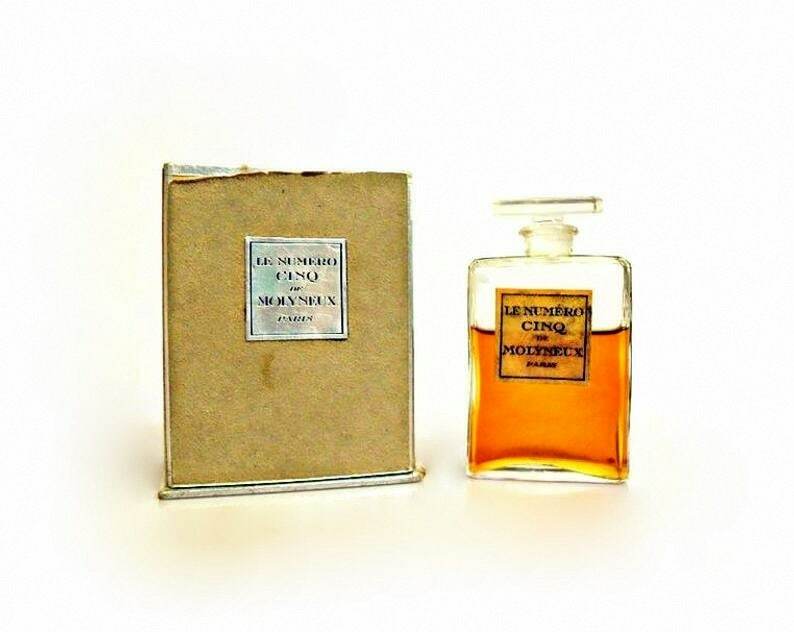 Antique 1920s Le Numero Cinq de Molyneux 0.5 oz (15ml) Extrait Parfum & Presentation Box Vintage PERFUME. The bottle still retains about 65% of the original perfume - see photo for the actual fill line. The perfume is old and no longer fresh. Because this is an unsealed bottle, I can decant the perfume into a separate glass bottle for shipping purposes to prevent leakage and damage to the label and box. You will receive the glass bottle and a pipette to refill your bottle with the perfume. The bottle stands just over 2 3/4" tall x just over 1 1/2" wide. The paper label has been stained with perfume and age. The bottle is unsigned so I don't know who the manufacturer is. The box is covered in a tan colored suede like fabric trimmed with silver paper trim. The box features a silver foil label. The base of the box is stamped "Made in France." The box stands almost 3" tall x 2 1/2" wide. The box has some wear and tear from age, inside there are some perfume stains from where it had leaked at some time. 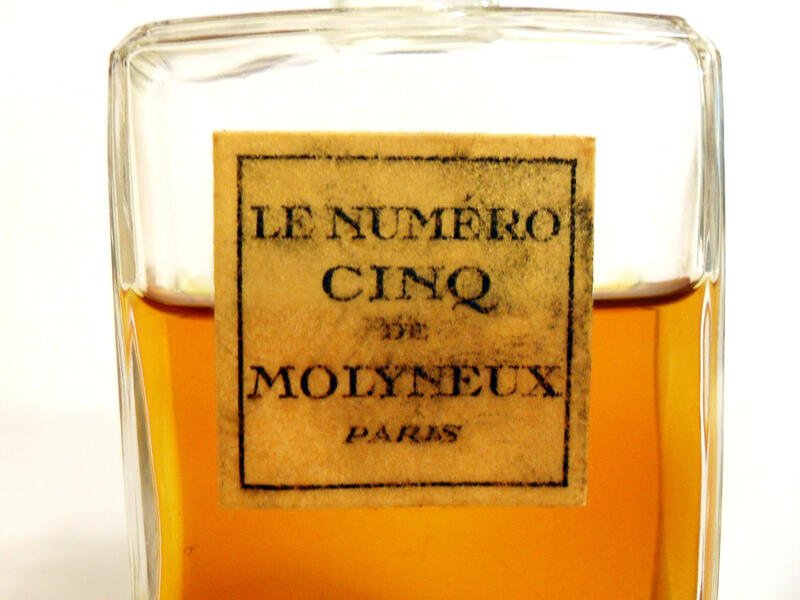 Launched in 1925, Molyneux’s most famous perfume was Le Numero Cinq, also known as the Number Five, his lucky number, the same as Chanel’s. 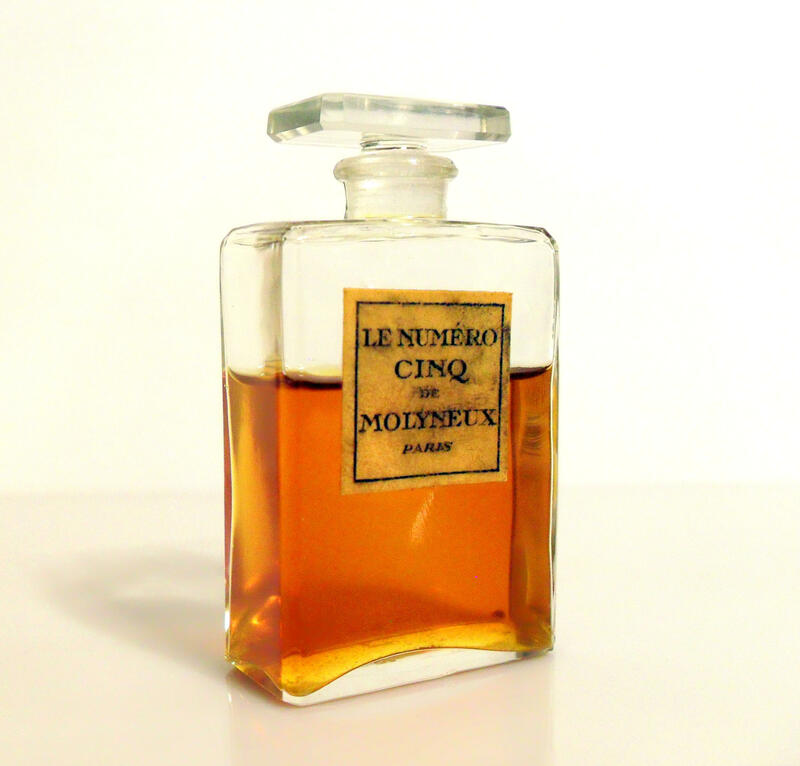 In fact, author Luca Turin states that Chanel and Molyneux befriended one another and had hatched an idea to both bring out a perfume called No. 5 on the same day in 1921. 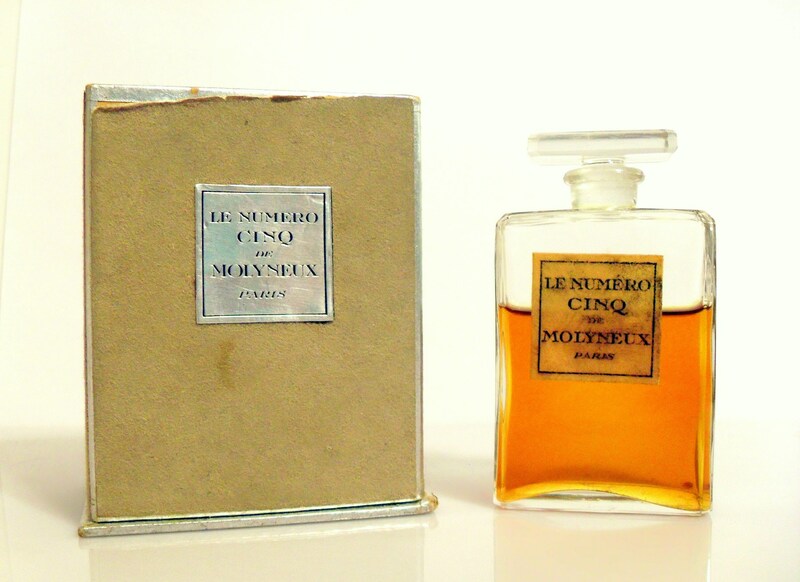 The story also says that Molyneux’s version of a Number Five perfume was years ahead of Chanel’s incarnation. 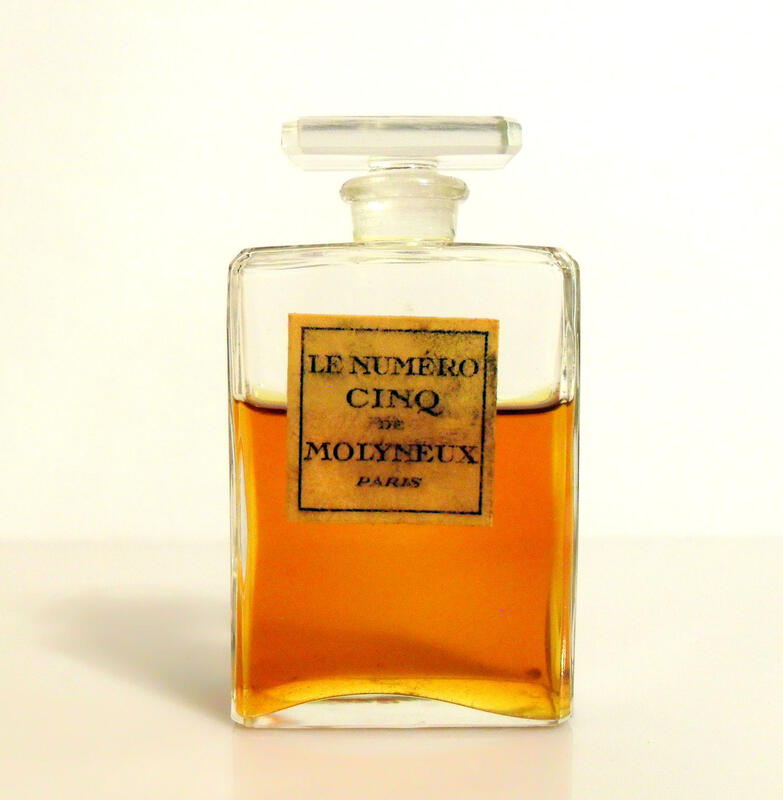 Nigel Groom states a contrary, that Molyneux launched some numbered perfumes in 1925, one of them being the infamous Le Numero Cinq. 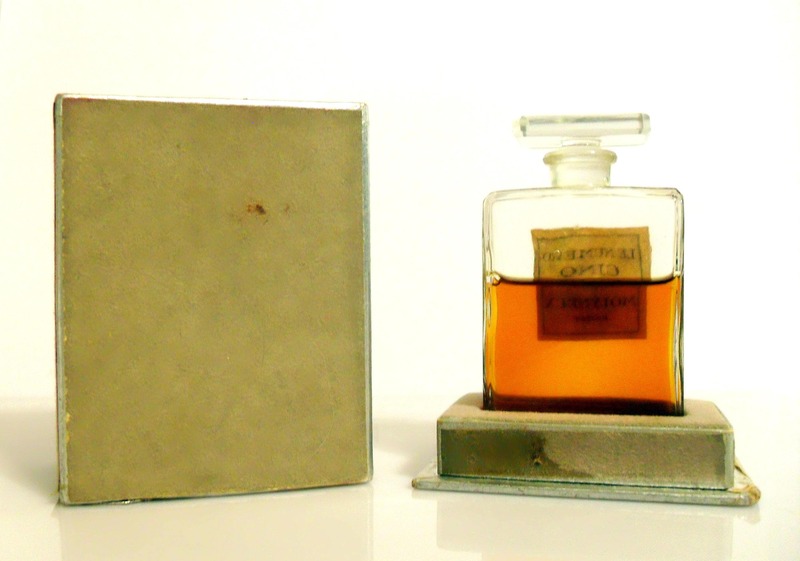 Naming perfumes after numbers was a common practice during the 1920s. Other perfume companies launched their own Number Five perfumes. 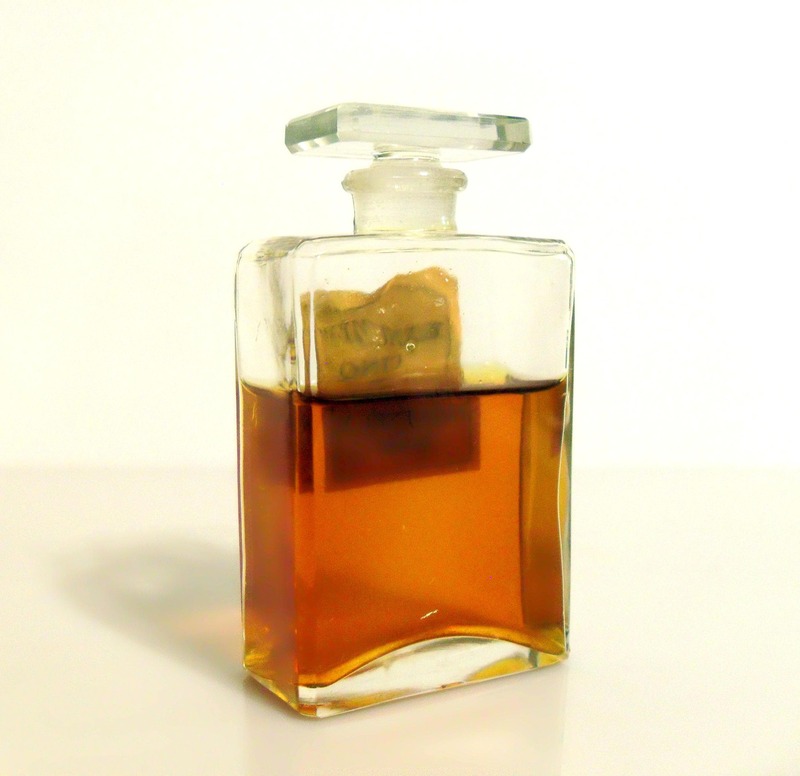 Perfumeries such as Forvil, Lamballe, Gaverine, Fragonard, Claire and Rimmel. 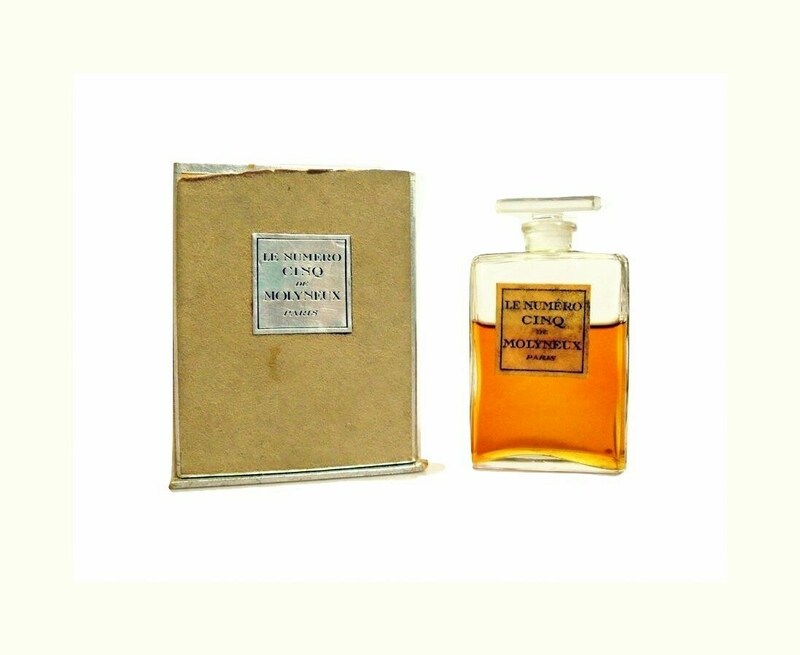 Following a legal action spurred by copyright issues by Chanel, in 1927, the perfume was renamed Le Parfum Connu, "The Known Perfume". Respectively, on some labels, the perfume is simply named what looks like a letter G, but in reality is a number five printed upside down. Le Numero Cinq is classified as a floral fruity chypre fragrance for women. 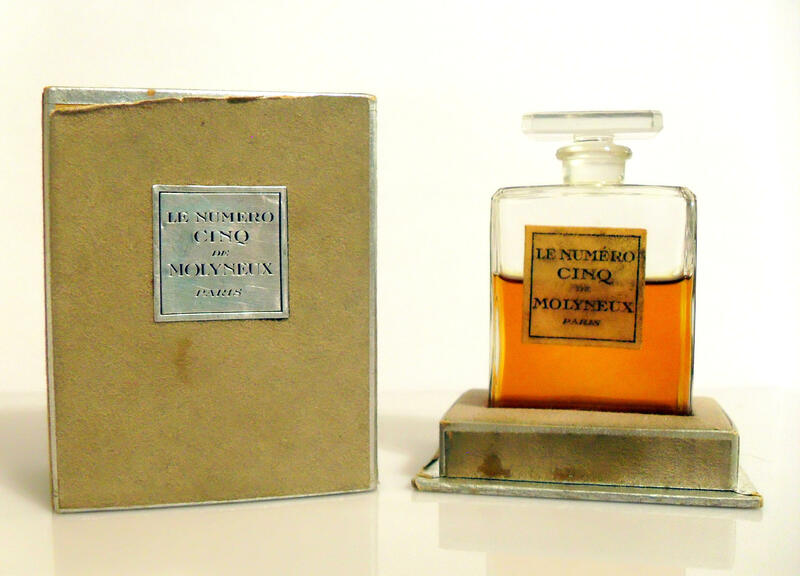 Le Numero Cinq seems to have been discontinued sometime in the late 1960s or early 1970s.